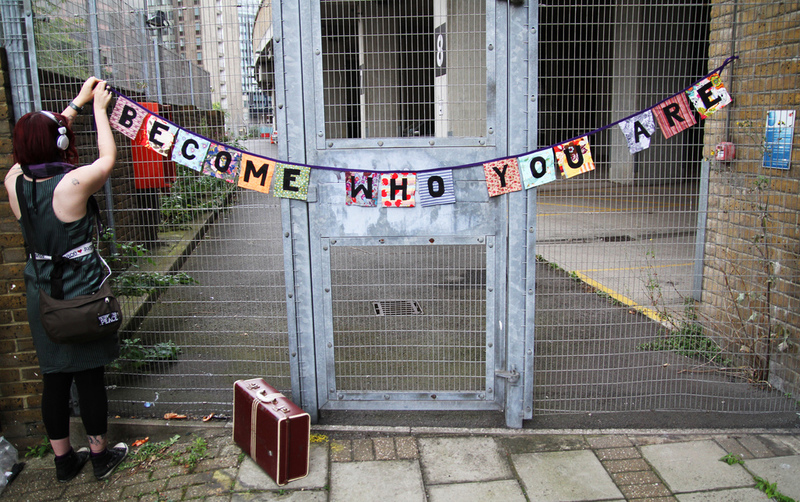 Home / Worth writing about… / All / Do you want to hear Craftivist Sarah Corbett speak in Berlin about Craftivism as part of the ‘Mobilising Communities’ event? Do you want to hear Craftivist Sarah Corbett speak in Berlin about Craftivism as part of the ‘Mobilising Communities’ event? 26 Apr Do you want to hear Craftivist Sarah Corbett speak in Berlin about Craftivism as part of the ‘Mobilising Communities’ event? 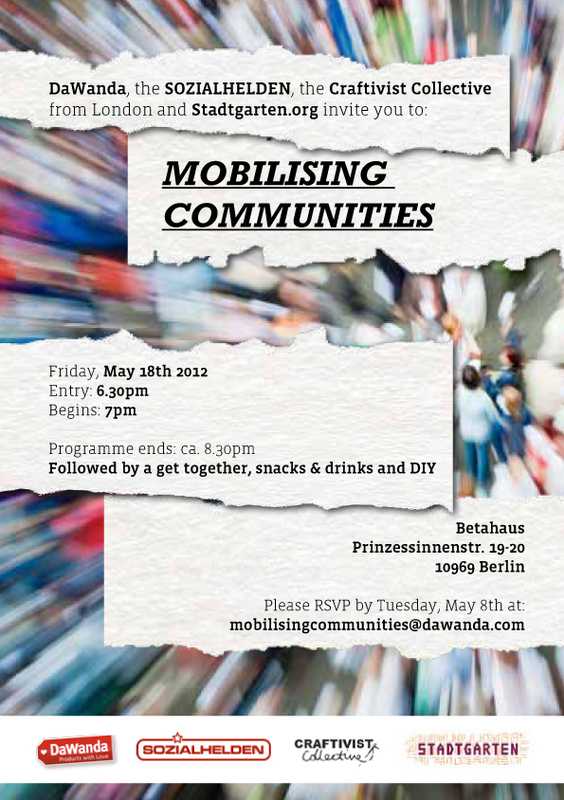 The Craftivist Collective is thrilled to have been invited to Berlin, where Sarah C will be a speaker at the ‘Mobilising Communities’ event, on Friday 18th May. The Craftivist Collective is one of three unique communities who will each be represented by a speaker at the event, with the aim of getting people together to share their knowledge and ideas on how creative and community based groups can bring about positive social change. ‘Craftivism’, or using craft as an imaginative and thought provoking way to draw attention to social injustices, is gaining an ever increasing international following. The event is to be hosted by DaWanda, Europe’s biggest online marketplace for unique and handmade products from independent designers. Sarah has over five years of experience in Craftivism and is always on the look-out for new recruits. She added, “I’m passionate about sharing the benefits and story of Craftivism with people- I hope it will inspire crafty Berliners to become Craftivists and for non-crafty people to see that they can use their talents and hobbies to be the change they wish to see in the world”. 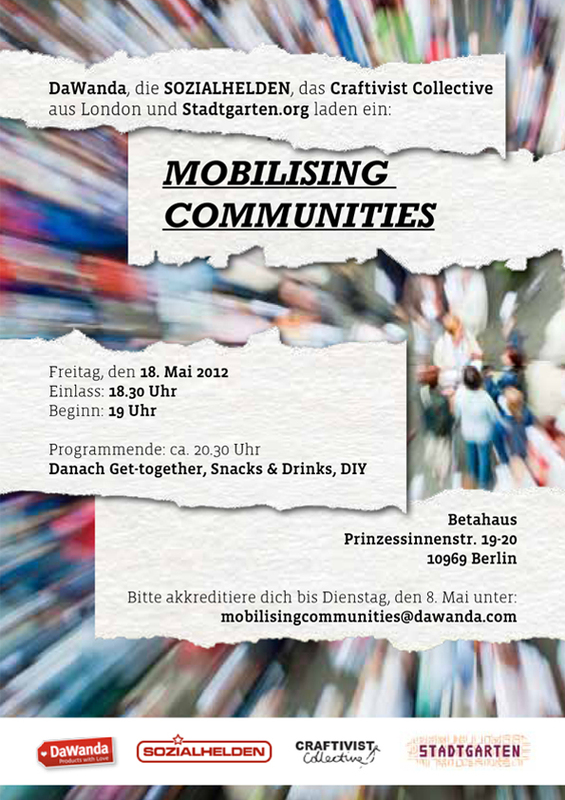 Also speaking at the Mobilising Communities event are representatives from SOZIALHELDEN and stadtgarten.org. Following their presentations and a Q&A, there will be an informal gathering with food and drinks where you can exchange ideas, network with other creatives and community members and try out Craftivism at our DIY stand if you wish. Written by craftivist Lorna McBride.